What is a Retaining Wall and Why Should I Have One? 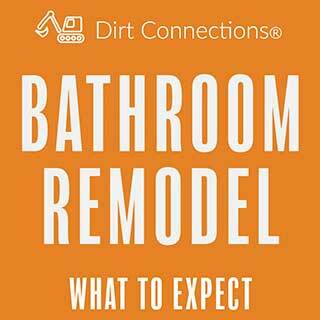 Are you a residential or commercial property owner who is having problems with the overall lay of the land? Are there places on your lot which have a lot of soil? Is the soil encased in any way? If you have an area of soil on your land that isn’t perfectly level, you may need to think about investing in a retaining wall. This is particularly true if you have any structures that lie near to the soil. A retaining wall is a wall that is specifically designed to control the movement of soil. It is a strong, durable structure that is built around a bed of soil so that the soil stays in place. The primary function of a retaining wall is to provide structural support. This is because rain and gradual erosion can cause soil to move in an unpredictable manner. The structural side of things might not sound very important for a tiny flowerbed, but things get a lot more serious when the unstable soil is starting to impact the foundation of your house! As such, retaining walls are the first line of defense for a homeowner. It helps them feel more safe and secure, knowing that the soil that lies close to their foundation lines is being held in place. Plus, safety aside, constantly brushing soil back into its correct place so that you can keep your garden tidy is an absolute nuisance. 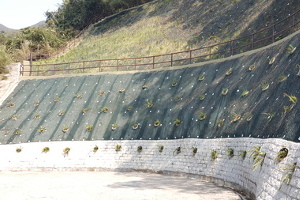 While it is true that retaining walls are used to fortify unstable topography, they can also be used as a design feature. If your land is sloped and the ground is uneven, it can be difficult to imagine how to create a beautiful garden. Retaining walls are great for breaking up sloped land and creating a number of different levels which can be evened out and used as a base for your landscaping vision. 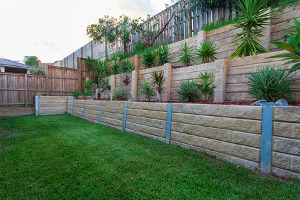 Residential retaining walls are the functional exterior walls in the garden area of a residential property. Commercial retaining walls are common in places like malls and public places where first impressions are important. You can imagine going to a doctor’s office and seeing a retaining wall encasing a flowerbed, for example. Retaining walls can be a focal point or simply an added feature. You can have one layer of a retaining wall or a system of tiered walls that create a more elaborate visual experience. When planning to build a retaining wall, it’s important to take a number of factors into consideration. These include the size of the wall, the amount of material needed to fully cover the scope of the wall, and the properties of the materials being used. Another aspect to consider in this respect is the level and slope of the area where the retaining wall will be built. Structural support in areas that have too many organic substances in the soil. Help to prevent sinkholes. This is a great benefit for people who live in an area with shifting soil. Can turn an eyesore into a beautiful garden by creating the illusion of multiple even layers instead of a bumpy hill. 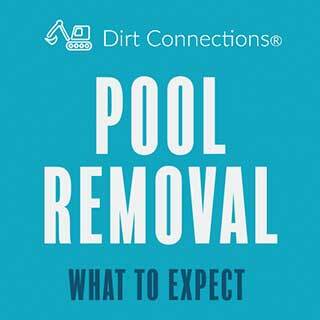 Can prevent damage to nearby property or structures by keeping soil in check. 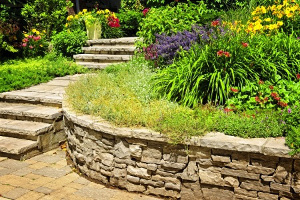 Flowerbeds that are encased in a retaining wall are easier to maintain than flowerbeds with no physical border, because the weeds are restricted to one area. Can prevent flooding. This is a bonus for people who live in areas with high rainfall or a high volume of tropical storms. Retaining walls are a great way of providing structure and organization, particularly if you are a serious gardener who likes to grow produce. If you’re thinking about having a retaining wall added to your property but aren’t confident about your DIY skills, you should consider professionals who provide heavy construction services. The creation of a retaining wall is a job that is included under the umbrella of heavy construction, as well as other tasks including material crushing and screening, demolition and excavation, dump truck hauling, and the provision of structural fill dirt. So, while you’re hiring professionals to build your new retaining wall, you might also want to tackle multiple home improvement necessities at once!